One of Our Biggest Festivals of the Year this Saturday! Join us for Gaura Purnima Celebrations! ~ The Toronto Hare Krishna Temple! One of Our Biggest Festivals of the Year this Saturday! Join us for Gaura Purnima Celebrations! If you have plans for Saturday, March 19th then you should quickly cancel them! The best place to be will be the Hare Krishna temple on Saturday evening. We will be celebrating one of our biggest festivals of the year, Gaura Purnima! Gaura Purnima celebrates the appearance anniversary of Lord Chaitanya Mahaprabhu. It is observed annually (usually in February or March) by Krishna devotees all over the world —especially in the area of Mayapur, India, the place where He appeared in the year 1486. 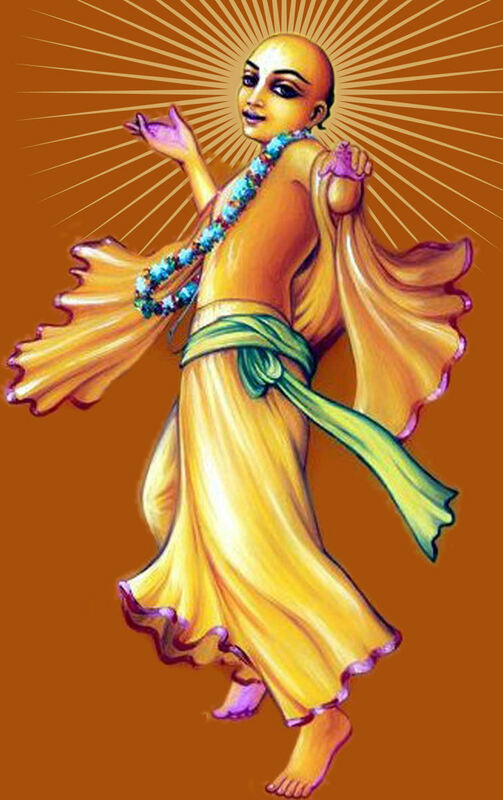 Lord Chaitanya Mahaprabhu is Krishna Himself, appearing as His own devotee, to teach us that we can gain full enlightenment simply by chanting the holy names of the Lord. Those who witnessed the Lord's pastimes saw Him dance and chant with ecstatic love for God, the likes of which had never been seen before. We hope you can join us for what will be a spectacular festival of chanting, feasting, dancing and more! The program will begin at 6pm sharp this Saturday! We hope to see you there. Stay tuned for more details, including a schedule for the evening.